pav recipe | ladi pav | homemade pav | eggless pav bread recipe with a detailed photo and video recipe. 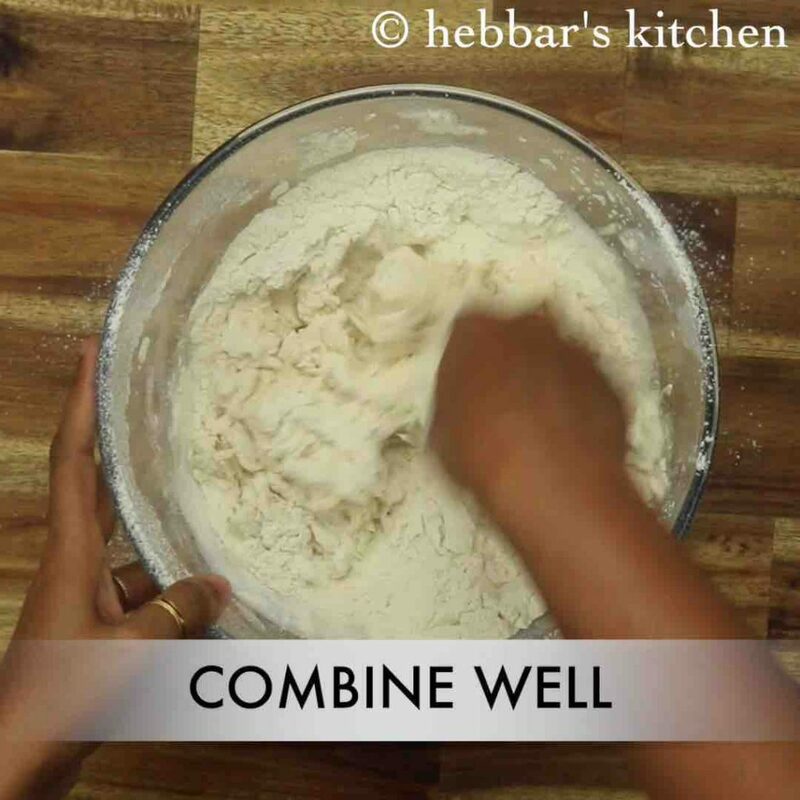 a soft and puffy indian style bread recipe made with plain flour and dry yeast. 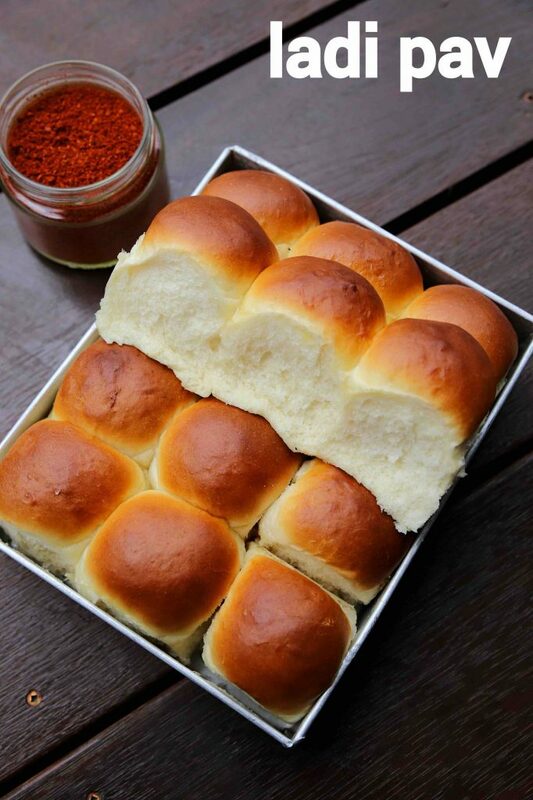 basically, indian version of ladi pav is very similar to the dinner roll, but softer without crisp texture. 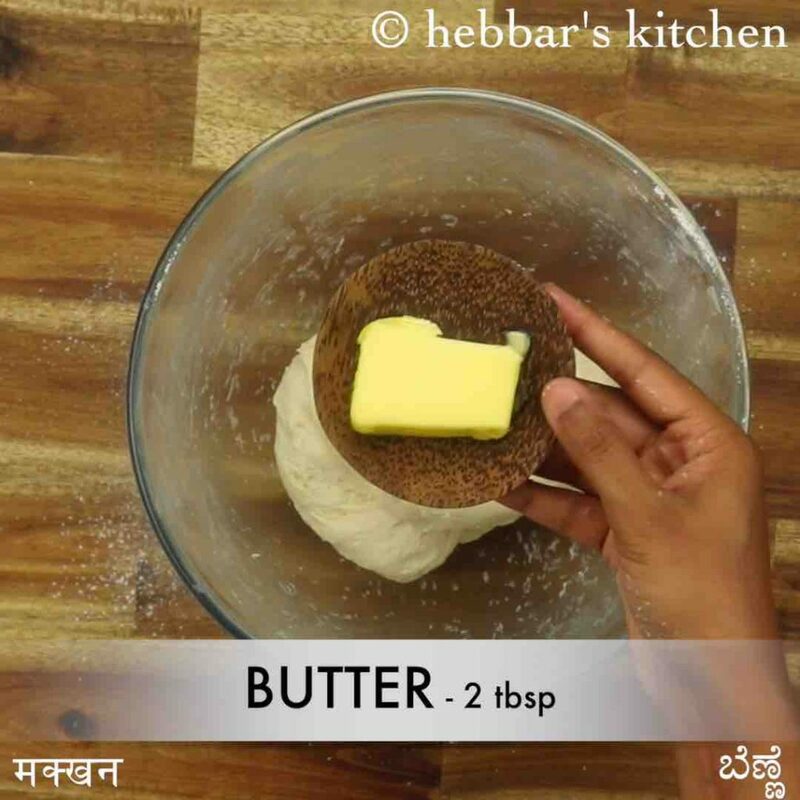 it is ideally served with pav bhaji, misal pav or vada pav but can be served with any choice or curry or even bhurji recipes. pav recipe | ladi pav | homemade pav | eggless pav bread recipe with step by step photo and video recipe. flatbread or roti / chapati recipes are very common across india. these flatbreads are typically served with spicy curries as a side dish and make most of the lunch or dinner meal. in addition to these flatbreads, even ladi pav or eggless pav bread can also be served with these curries or perhaps as street food. 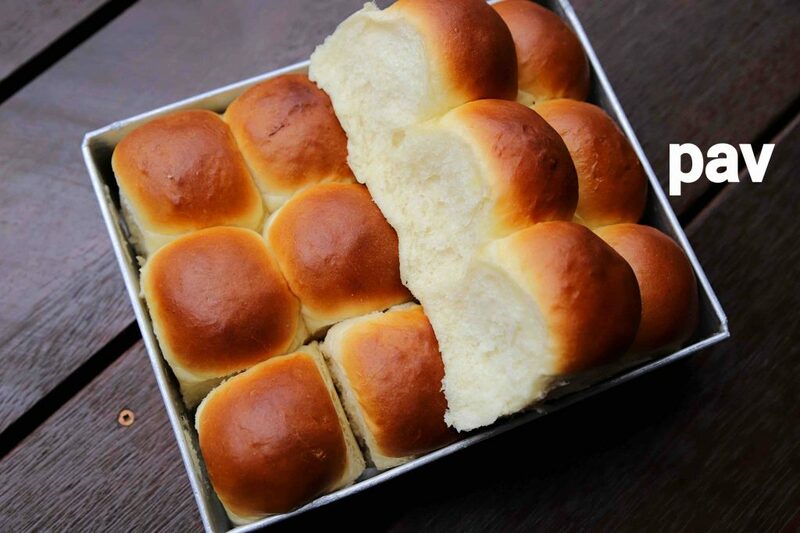 well, to be honest, i am not a huge fan of homemade pav or ladi pav as i do get freshly baked dinner rolls near to my place. moreover, these rolls do not have any additional preservative and hence i always end up buying it instead of baking at home. 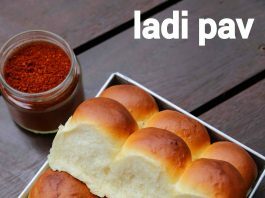 however, i have got a lot of requests to prepare ladi pav bread at home using a pressure cooker and hence i thought of posting it as a video post. well in this post i have used the traditional oven to bake as the size of my pressure cooker and pav tray was not matching. perhaps i would post it next time once i have access to a small tray. anyway, i had to bake it thrice to get the right temperature, time and softness so this is a tried and tested recipe. furthermore, some important tips, suggestions and variations for the soft and spongy eggless ladi pav recipe. firstly, the key to soft pav is the kneading of plain flour dough after it is mixed with yeast. 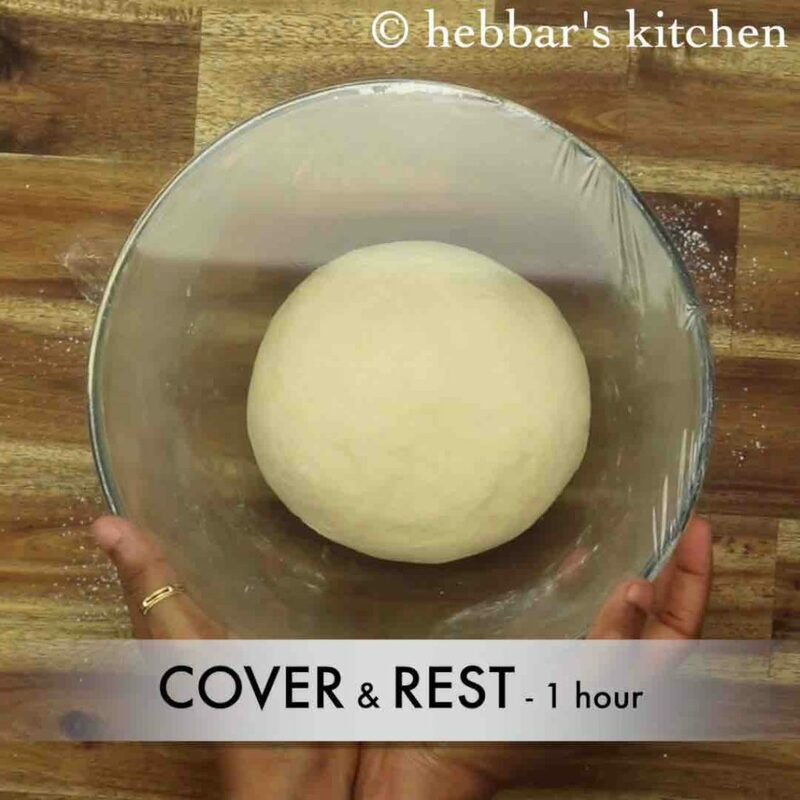 give a proper 10-15 mins of kneading and use both your hands. you can also use the bread or atta maker to knead the dough. secondly, once the dough is properly kneaded, allow it to rest for 60 minutes so that raises and gets the shape. in addition to it, once the dough is shaped to balls and transferred to the tray, it has to be rested again. finally, before putting the tray to baking oven, do not forget to brush the balls with milk or butter to get a nice colour. 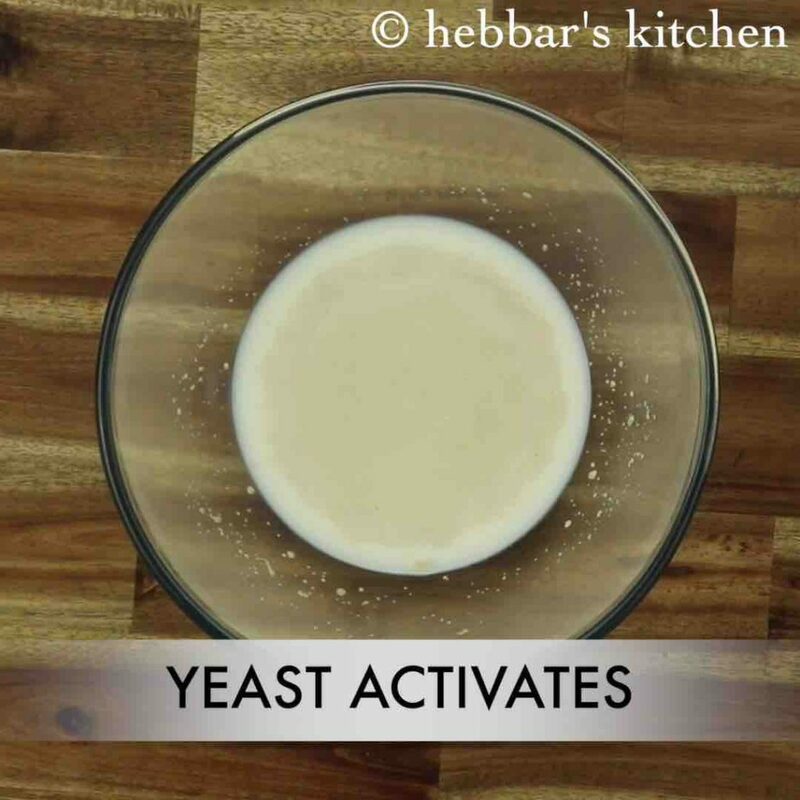 firstly, in a bowl activate the yeast by combining 1 cup milk, 2 tsp sugar and 7 grams dry yeast. 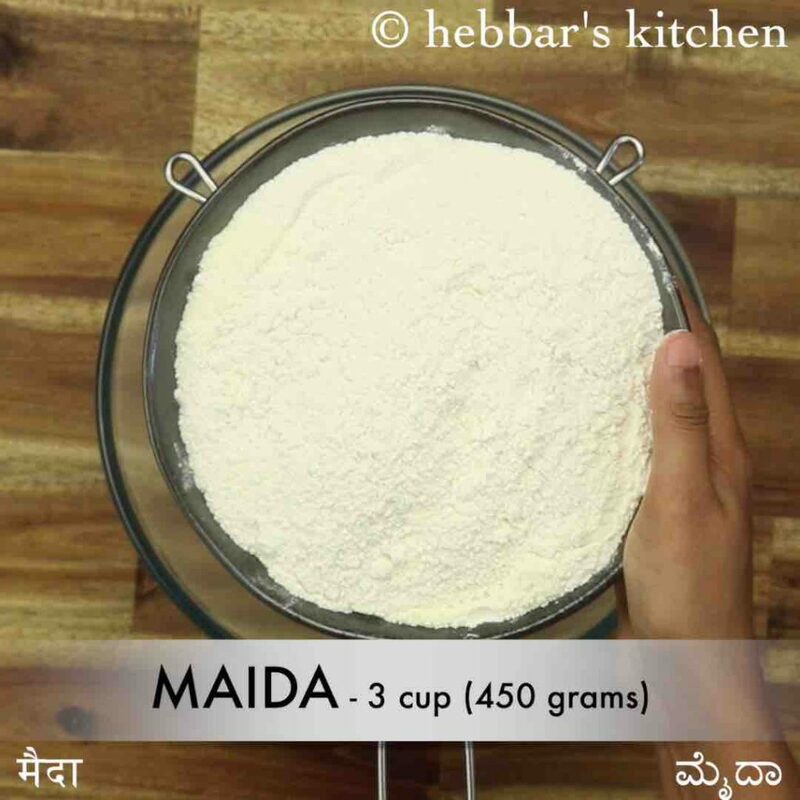 add 3 cup maida and ½ tsp salt. knead until the dough turns soft. further, add 2 tbsp butter and knead the dough. cover with cling wrap or cloth and rest for 2 hours in a warm place. 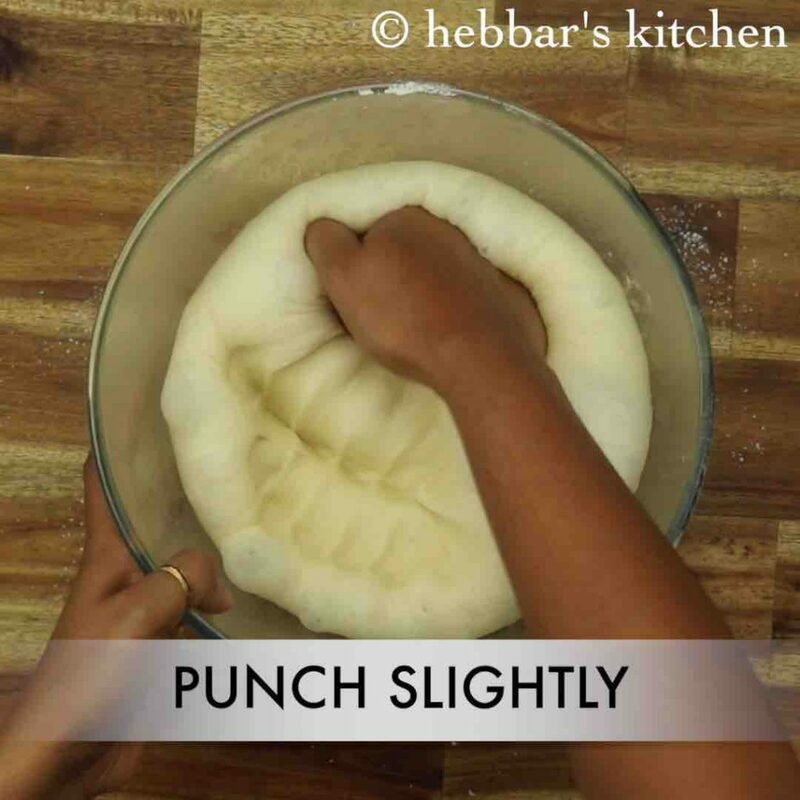 further, punch the dough and knead it slightly to remove air incorporated. place the balls into a greased tray. place them leaving equal space in between. 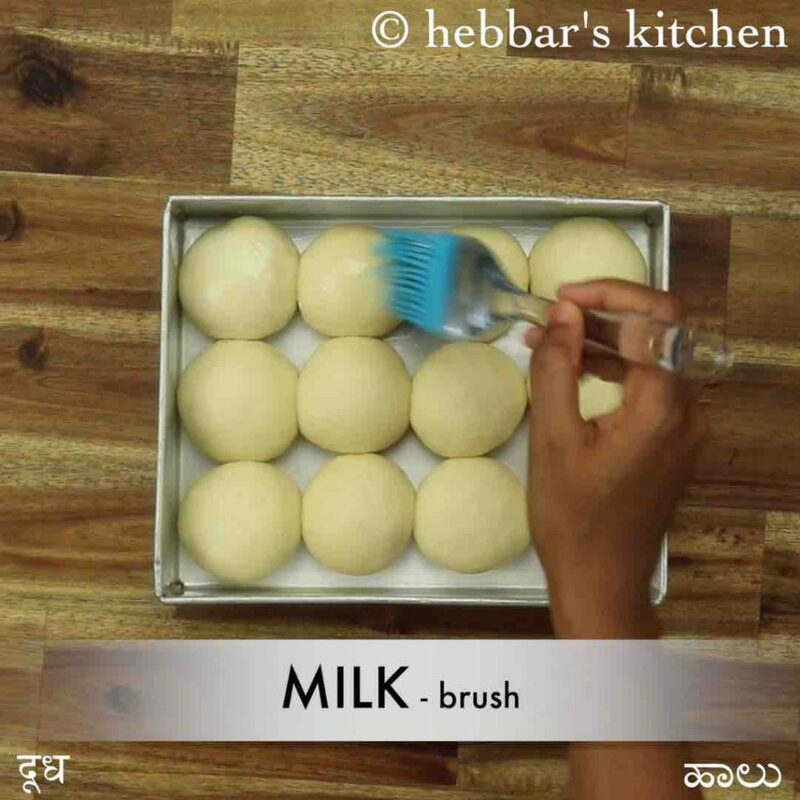 further, brush the dough with milk without damaging the balls. 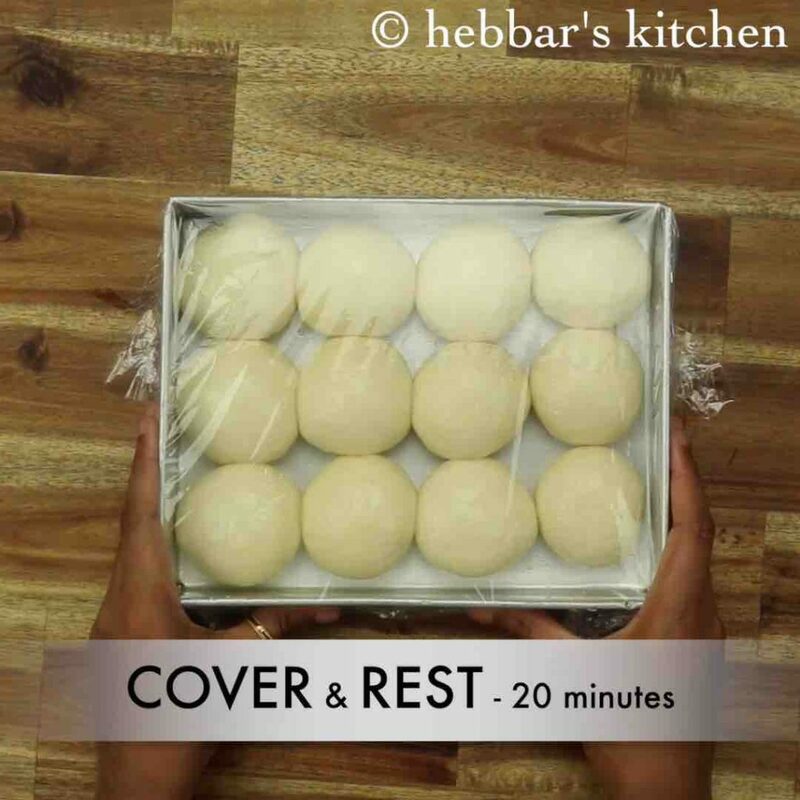 now cover with cling wrap and allow to rest for 20 minutes or until the dough reaches the brim of the tray. 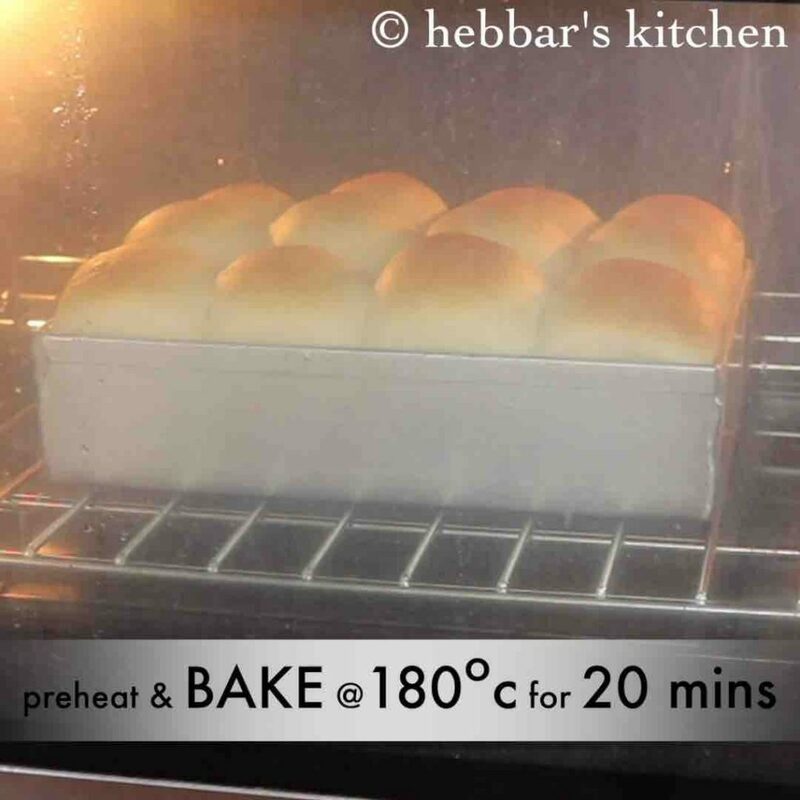 preheat and bake at 180 degree celcius for 20 minutes, or until the pav turns golden brown from top. 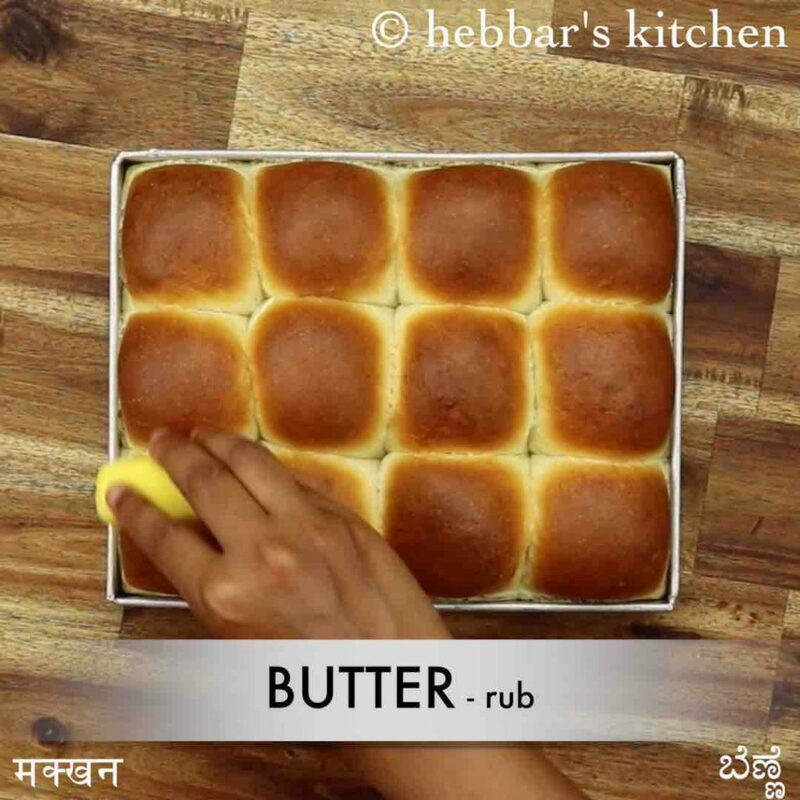 once the pav is out of the oven, rub with butter to get a shiny look. 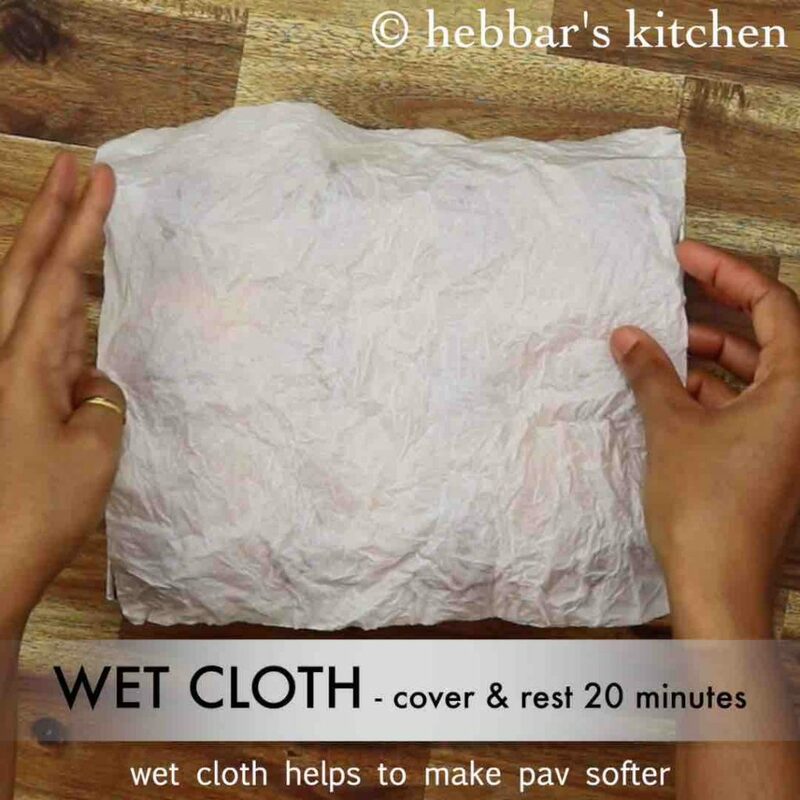 also, cover with a wet cloth to get a super soft cloth and allow to cool completely. finally, enjoy ladi pav in preparing pav bhaji. 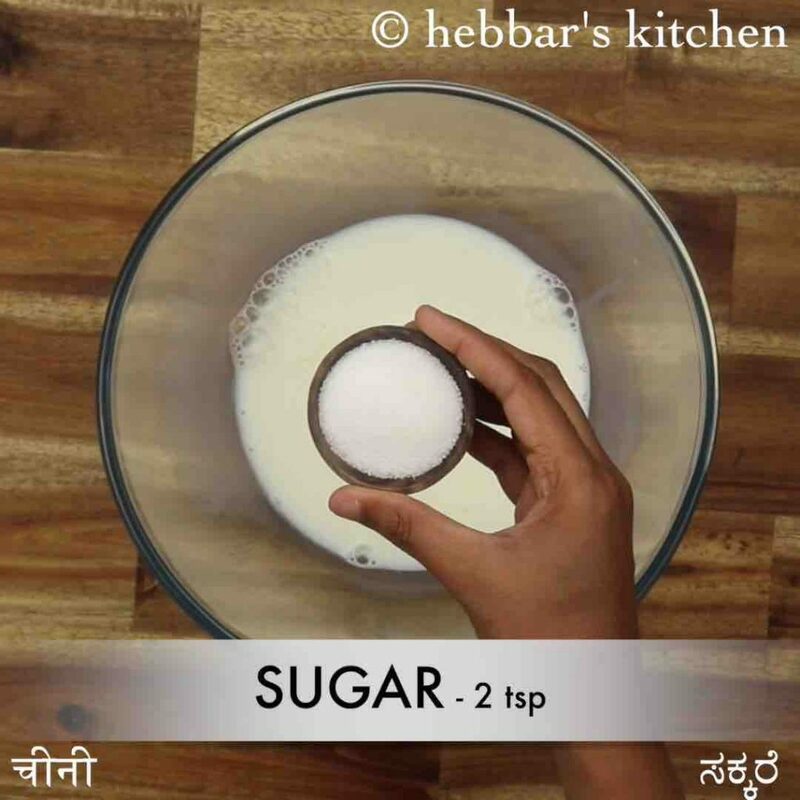 firstly, in a large mixing bowl take 1 cup milk and 2 tsp sugar. 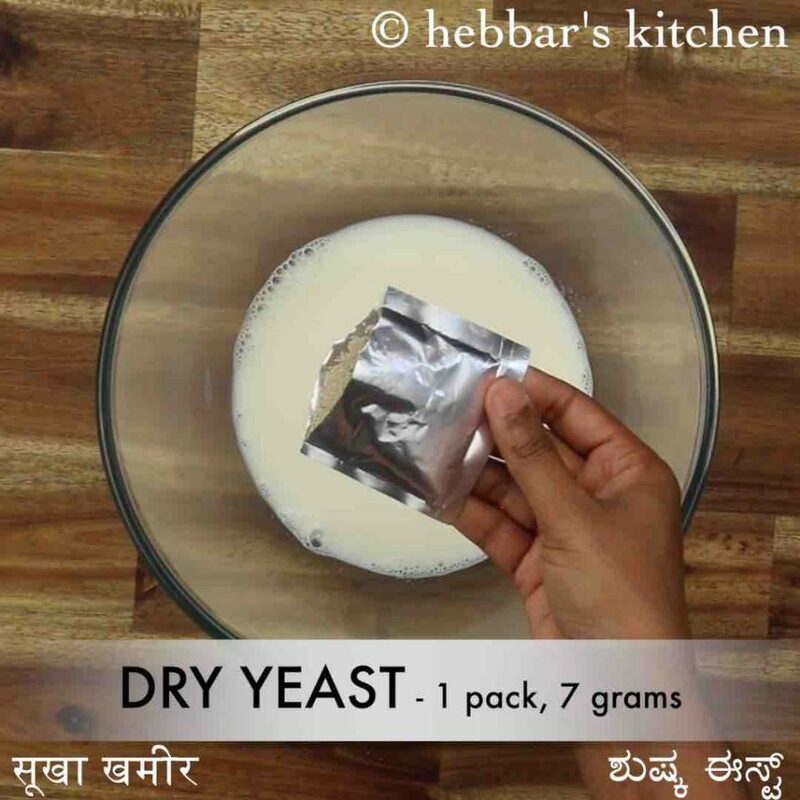 now add 7 grams dry yeast and mix well. rest in warm place for 5 minutes or until the yeast activates. 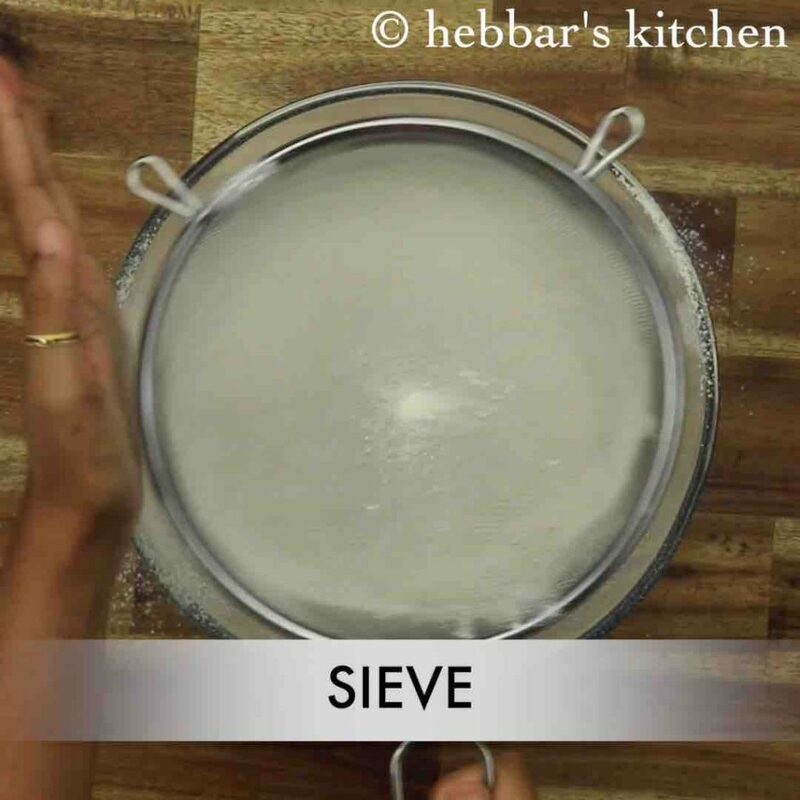 further, place a sieve and add 3 cup maida and ½ tsp salt. further, combine the flour and yeast mixture. 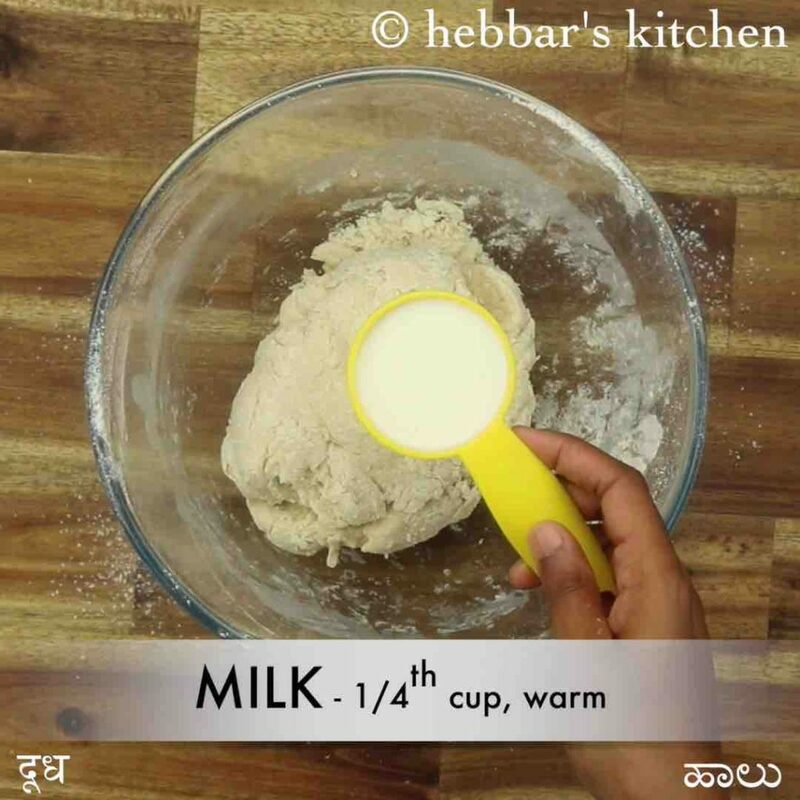 add ¼ cup milk and continue to knead. 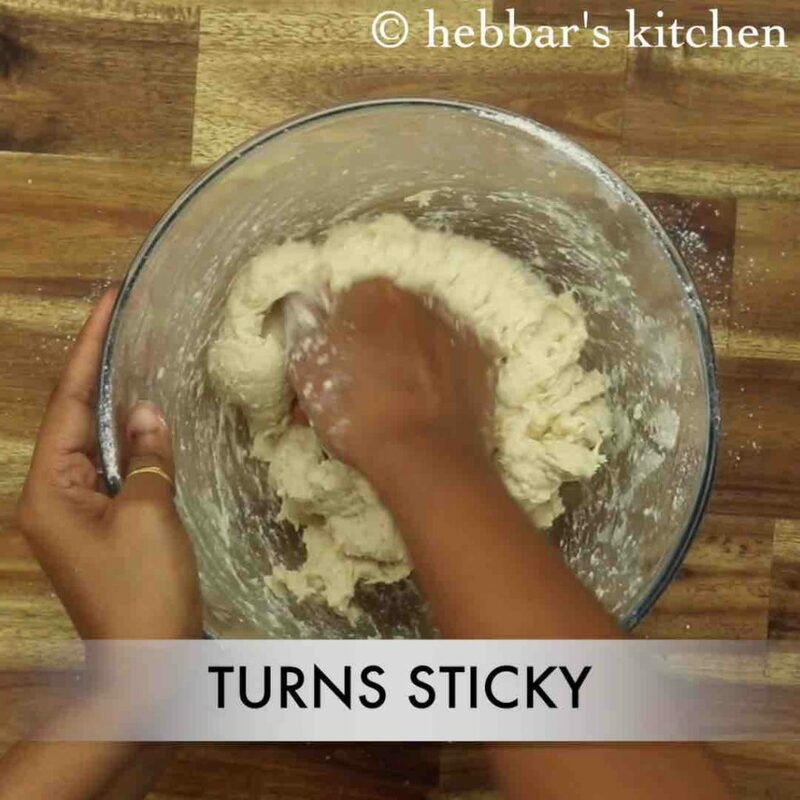 the dough turns sticky, continue to knead for 10 minutes. 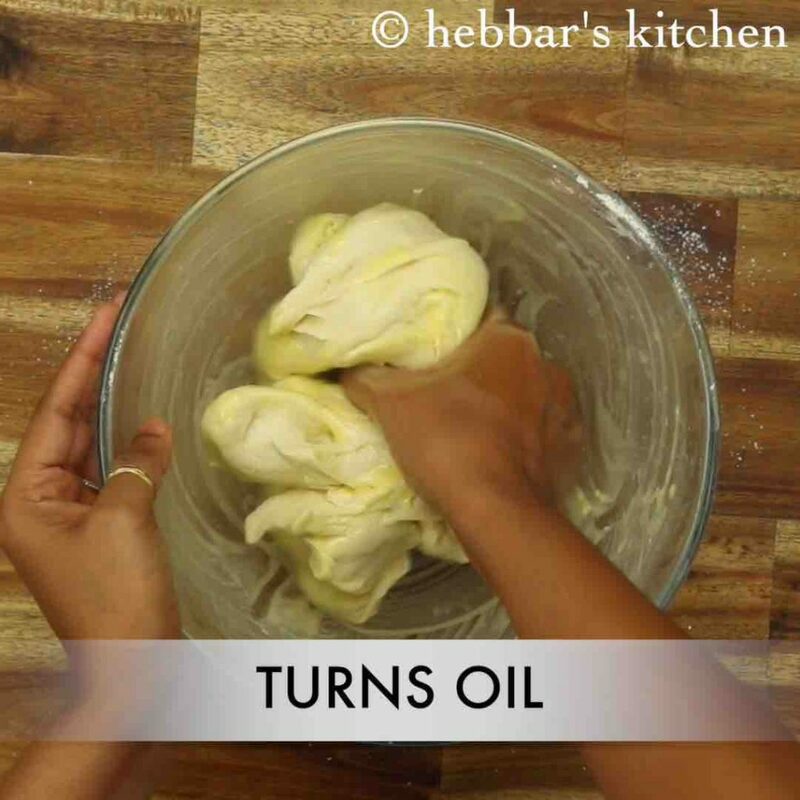 now the dough turns oily, do not worry. continue to knead. 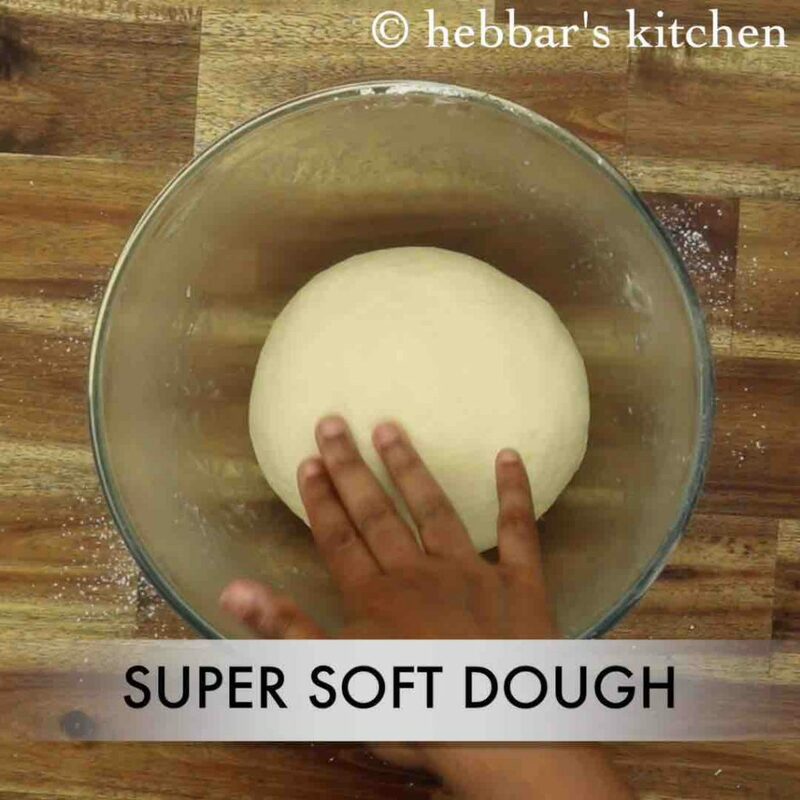 the dough will absorb all the oil and turns to super soft dough. 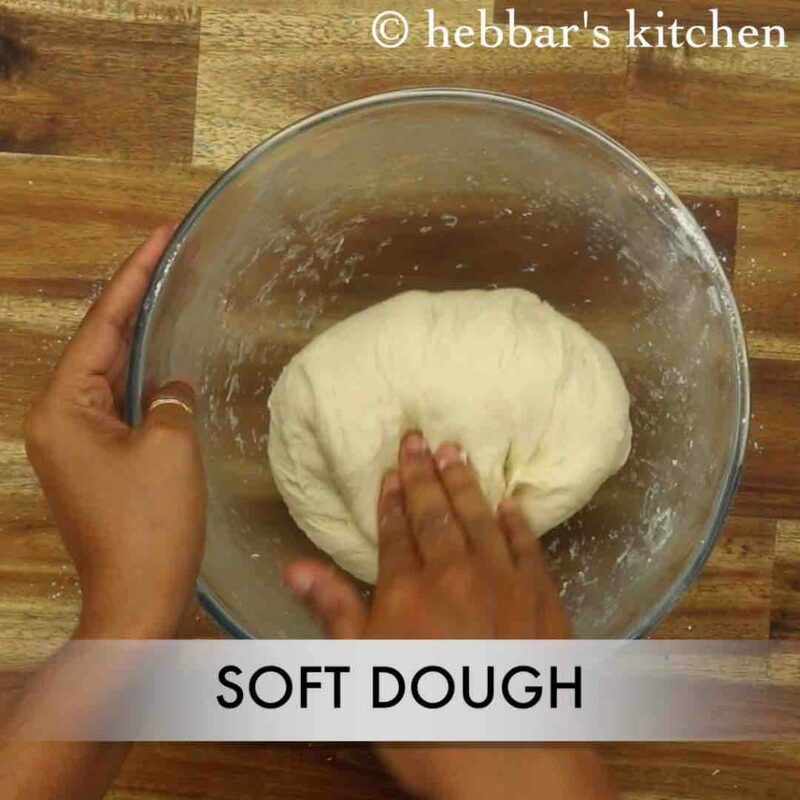 tuck the dough and place in a bowl. cover with cling wrap or cloth and rest for 1-2 hours in a warm place. 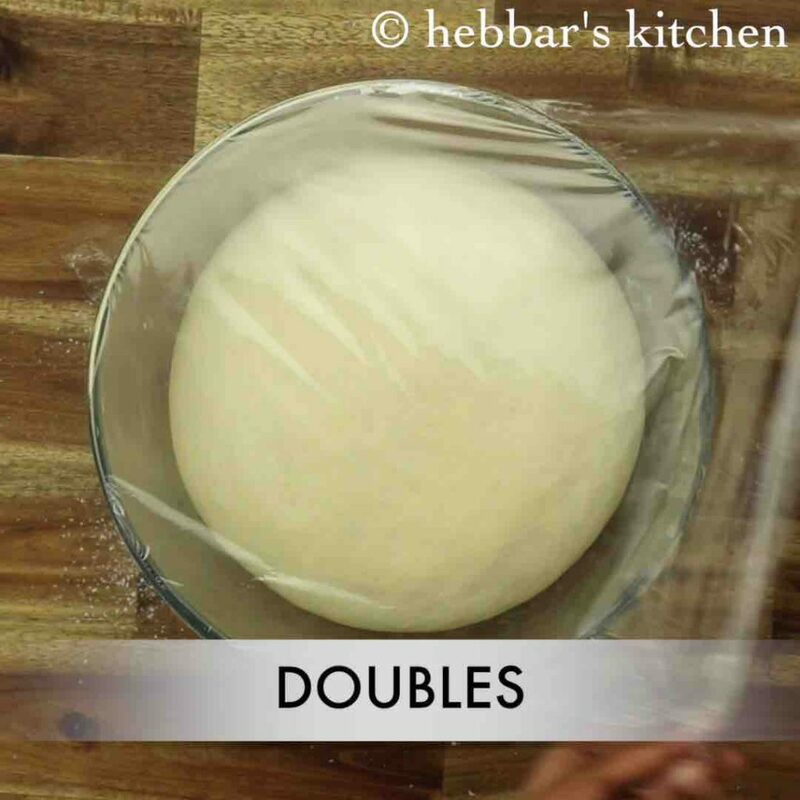 allow raising the dough until it doubles in volume. 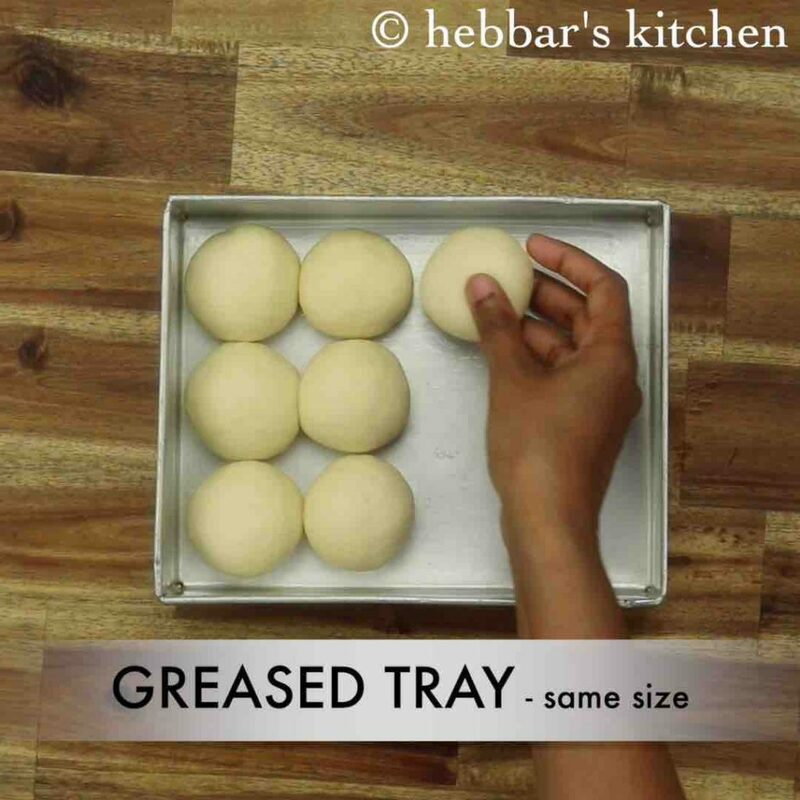 cut the dough into 12 equal pieces. i have roughly cut and later divided into 12 equal pieces. 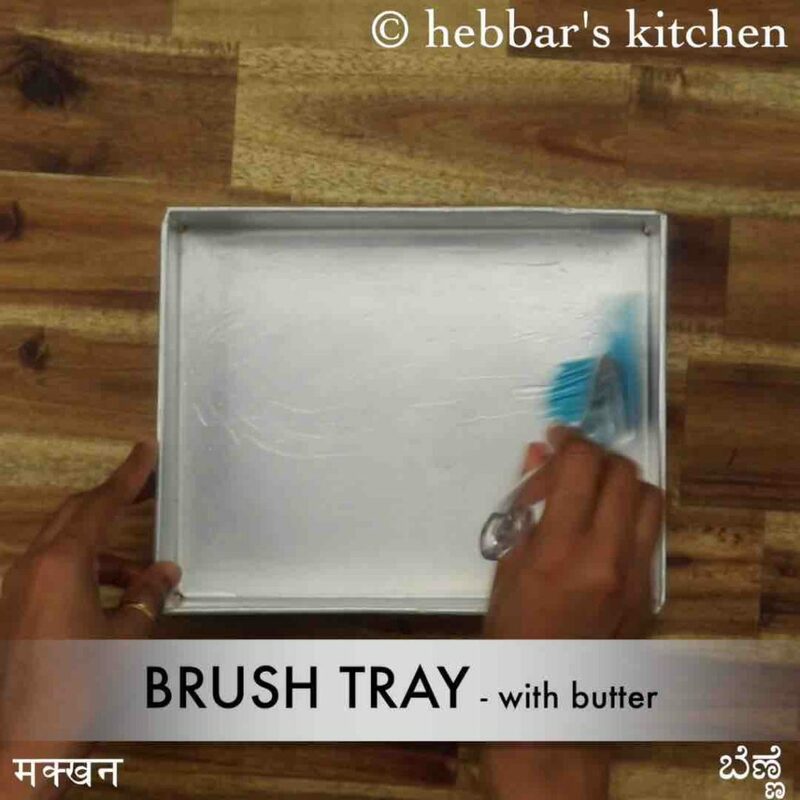 grease the rectangle aluminium tray with butter (width: 15 cm, height: 6 cm, length: 17 cm). you can use round or any tray of your choice. 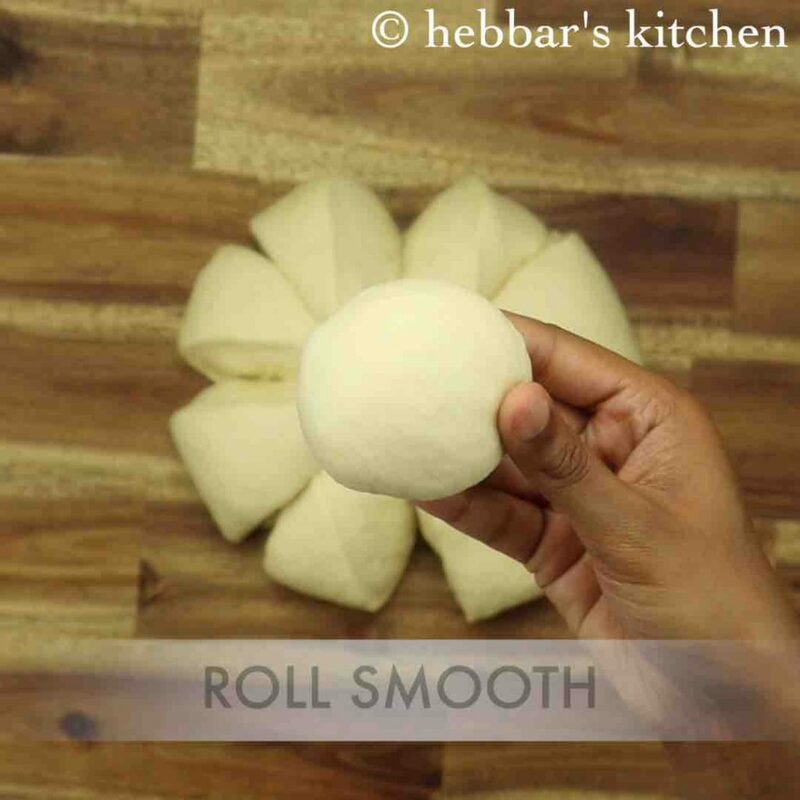 take a ball sized dough and form a smooth ball. 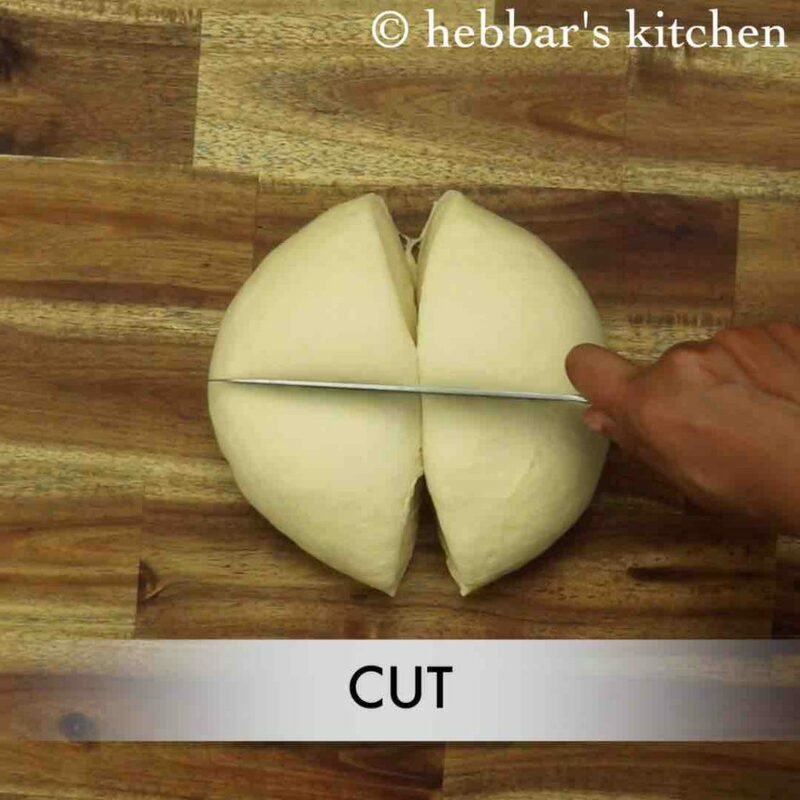 make sure to tuck the dough to prevent from any scars appearing. firstly, use good quality yeast to get super soft pav. also, do not compromise on kneading part, as the gluten needs to be developed for a feature like texture. additionally, the size of pav balls will double once rested. so make sure to adjust the size accordingly. finally, ladi pav recipe tastes great when prepared with milk and butter.